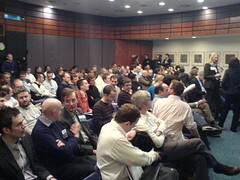 Another great Mobile Monday London on a very hot topic. and Claudia Poepperl, Mobile People. Thanks also to our demoers, Kimmo Passo of MCN and Priya Prakash of BBC. Finally, thanks to our attendees who made the Q&A session so lively! If you couldn't make it, watch out for the podcast, coming soon!